• CONVERT ANY DESK into a standing desk work space. • EASY TO SIT/STAND: 16” Inches of fluid height adjustment allows easy transition from a sitting position to a comfortable standing position. • LARGE WORK SURFACE: A large top platform provides ample space for laptops, keyboard, and mouse and office essentials. • STURDY STEEL FRAME: The steel frame and pneumatic spring helps support the weight of you office equipment. 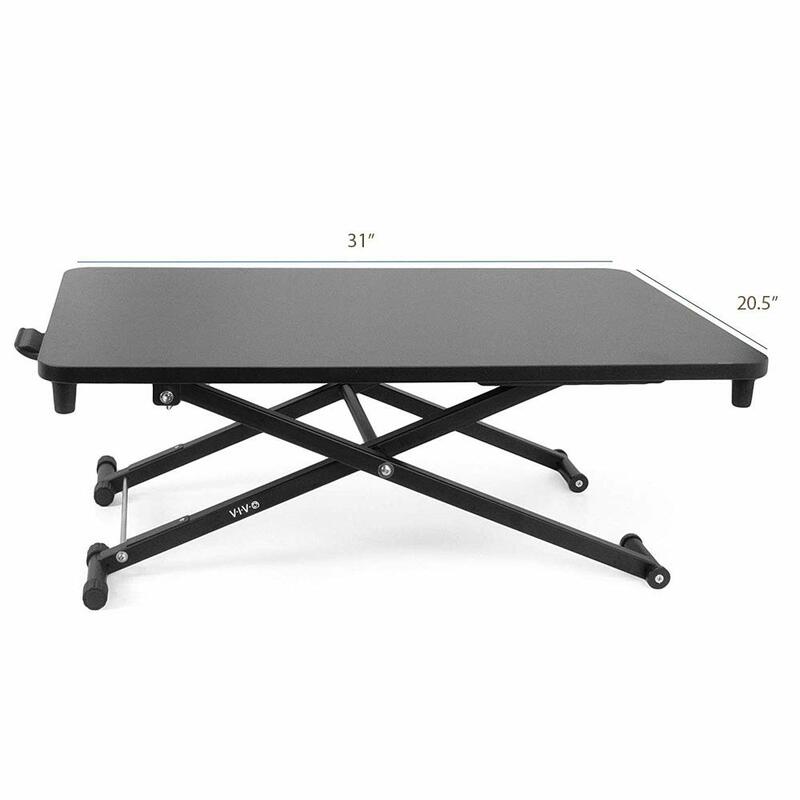 The fluid height adjustment can help you set the table jack at multiple heights according to your comfort. 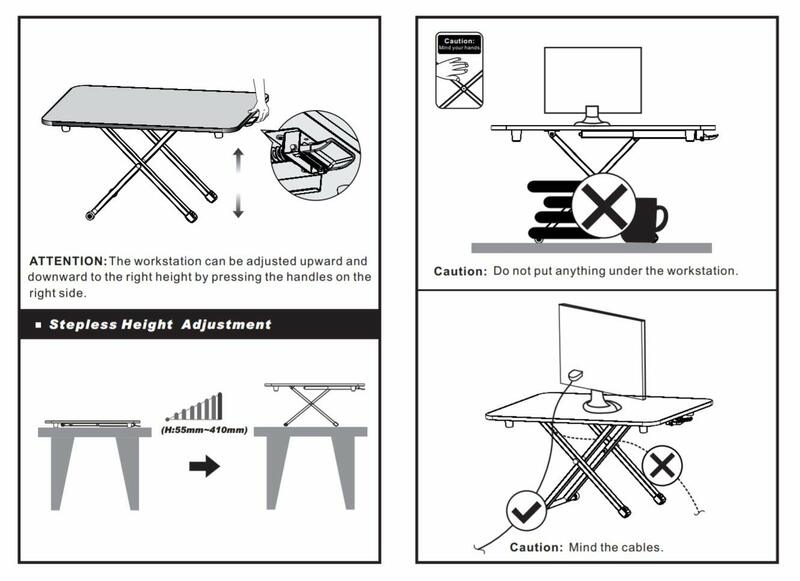 With a maximum height of 16 inches above your regular work desk, this adjustable desk can be used by people between the height range 5' to 6'3" with either a desktop or a laptop.